DC Comics Universe & Action Comics #1000 Spoilers: Who Helps Superman Against Rogol Zaar & Everyone Is Fascinated With Superman’s Red Trunks! 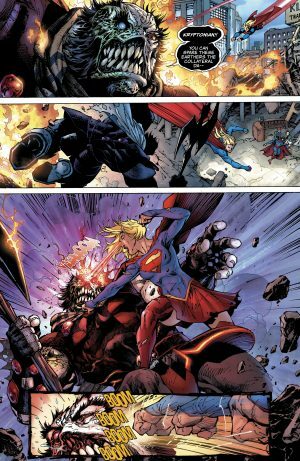 DC Comics Universe and Action Comics #1000 Spoilers follows. Who Helps Superman Against Rogol Zaar and Everyone Is Fascinated With Superman’s Red Trunks! 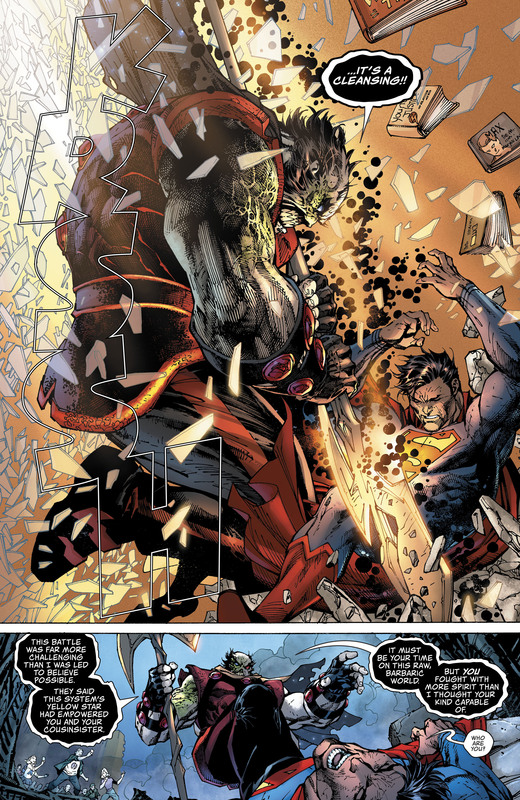 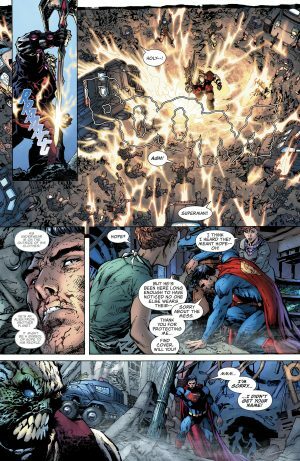 DC Comics revealed the first four pages (full spoilers here) of Brian Michael Bendis and Jim Lee’s 12 pages Superman story here. 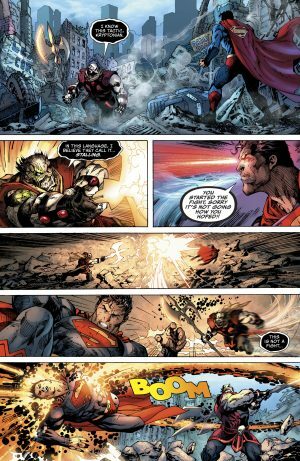 The last two pages of this story reveal the HUGE retcon to Superman’s origin and who Rogol Zaar is (full spoilers here). 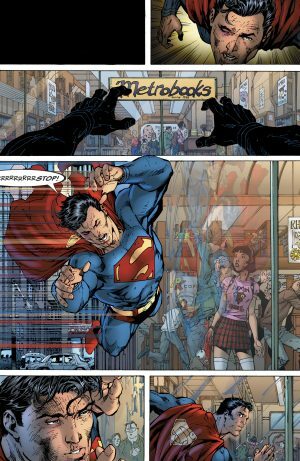 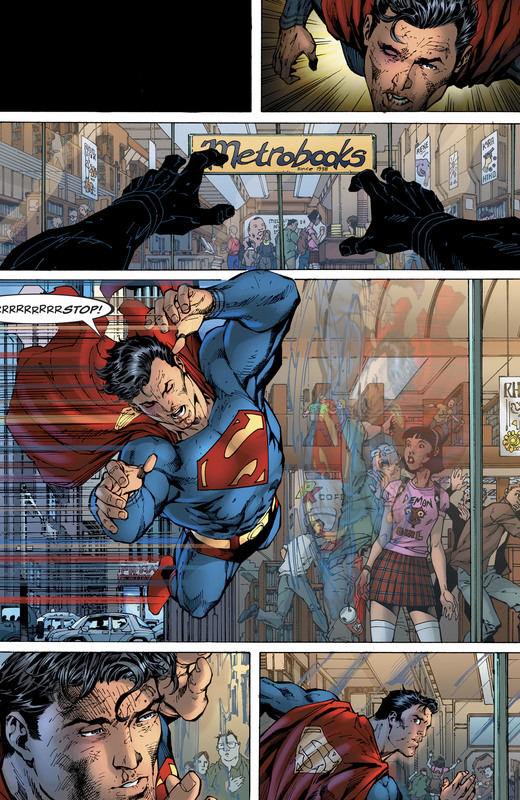 Well the other six pages of the adventure shows Supergirl come to Superman’s aid and the human passerby wondering why Superman is wearing his read underwear outside of his pants. Superman asks “who are you” and as noted earlier above, Rogol Zaar’s answer reveal a huge retcon to Superman and Krypton’s past (spoilers here). 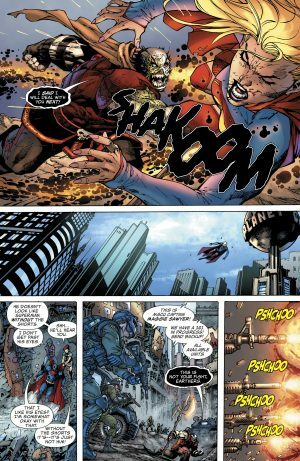 This is the beginning of the Brian Michael Bendis era at DC Comics working on Superman and Action Comics after his six issue Man of Steel mini-series wraps up; it launches on May 30, 2018.